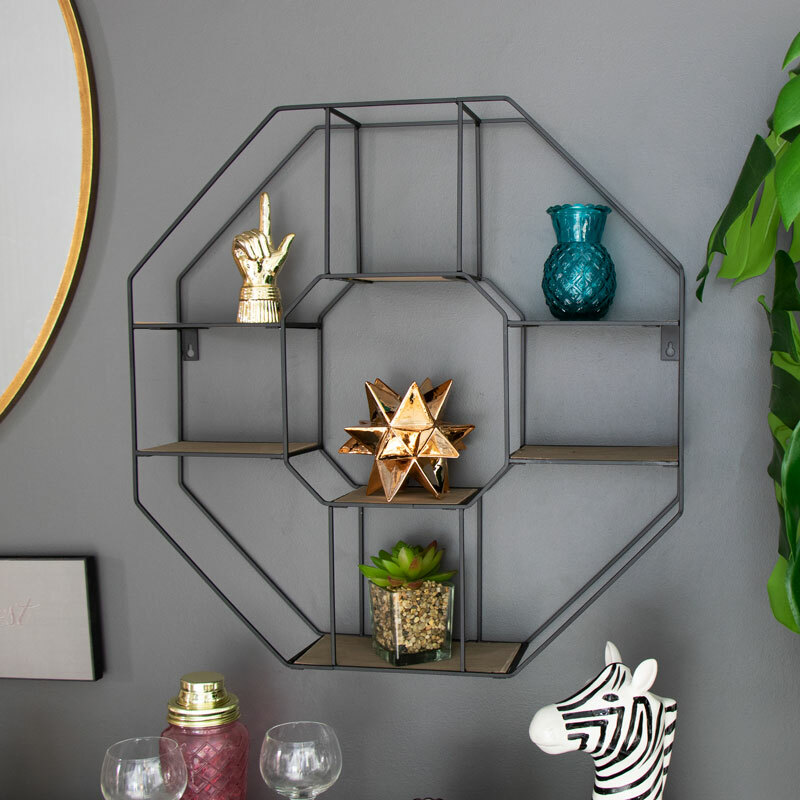 A great mixture of modern and art deco style with this minimalist style wall shelf, Hexagonal shape that offers the perfect display and storage. Matt black painted metal frame with natural wood look shelves make this simple but so stylish. Seven shelves, in varying sizes, offer a place for ornaments and trinkets. Perfect for the living room, hallway, bedroom or bathroom display. 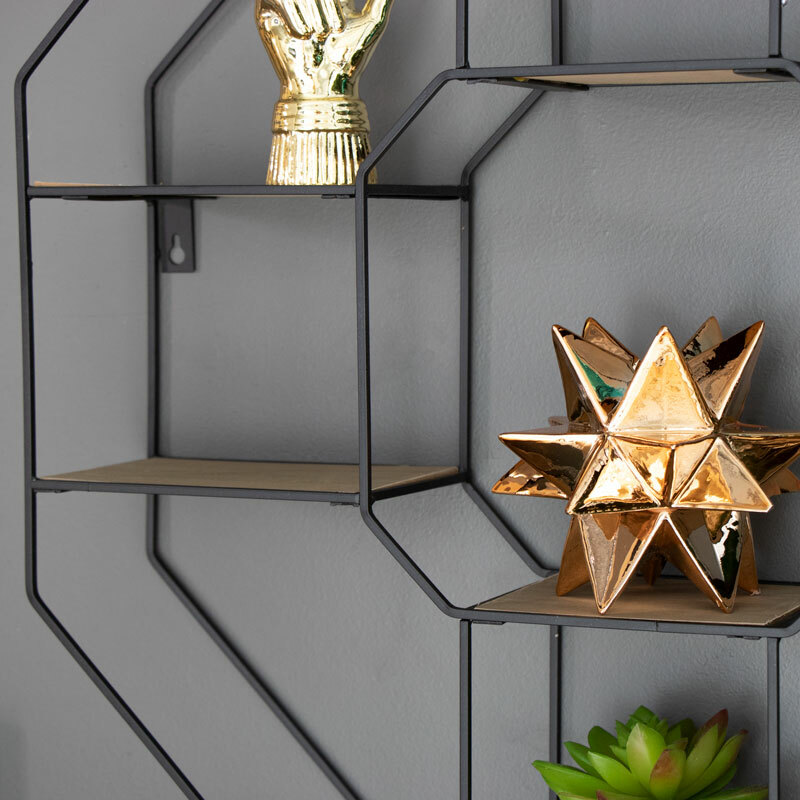 A great mixture of modern and art deco style with this minimalist style wall shelf, Hexagonal shape that offers the perfect display and storage. Matt black painted metal frame with natural wood look shelves make this simple but so stylish. Seven shelves, in varying sizes, offer a place for ornaments and trinkets. Perfect for the living room, hallway, bedroom or bathroom display. The shelving unit is light weight and has two wall mounting holes attached for easy hanging. With other choices and colours available we can help complete your required look.